Octavio Paz. Paz, Octavio, photograph. AP images. The intellectual body of work of Octavio Paz is one of the most extensive and important in the history of Latin America. He wrote more than twenty books of poetry (more than thirty if all editions of the books are considered) and as many book-length essays about such topics as literature, eroticism, politics, anthropology, and painting. Until his death, he fueled an intellectual passion that—through his essays and the magazines that he headed—turned him into an indispensable guide for several generations in the area of Spanish language. Not only with his poetry, but also with his prose, Paz renovated Spanish, thanks to his mastery of nuance, the communication between words, and the architecture of syntax. Spanish Heritage. Paz was born in Mexico City. His mother’s family had emigrated from Spain and his father’s ancestors traced their heritage to early Mexican settlers and indigenous peoples. Paz’s paternal grandfather was a journalist and political activist, and his father was an attorney who joined Emiliano Zapata’s farmer-backed revolution in the early 1900s. During the Mexican Civil War, a conflict led by Fransisco I against the dictator Poririo Diaz, Paz’s family lost their home and relocated to a nearby suburb of Mexico City, where they lived under financially unstable conditions. Nonetheless, Paz received his secondary education at a French Catholic school and later attended the National University of Mexico. While in his late teens, he founded Barrandal, an avant-garde journal, and published his first volume of poems, Luna silvestre (1933). In 1937, he traveled to Spain, which was at the time in the middle of a civil war pitting the ultranationalist/fascist forces of General Francisco Franco against the forces supporting the Spanish Republic. The fascists won the war and Franco became the Spanish dictator until his death in 1975. Paz participated in several antifascist activities in Spain before moving on to France. In Paris, he became interested in surrealism, a highly influential literary and artistic movement dedicated to examining the irrational, paranormal, and subconscious aspects of the human mind. Disillusionment. Paz returned to Mexico from Europe in 1938, just as the continent was heading toward World War II. Paz spent the war in Mexico and the United States, traveling extensively. While in the United States he became influenced by the formal experiments of such modernist poets as William Carlos Williams and Wallace Stevens. Diplomacy and Literary Repute. Paz joined the Mexican diplomatic service in 1945 and was assigned to the Mexican embassy in Paris. While in France, he became reacquainted with the aesthetics of surrealism and the philosophy of existentialism, eventually favoring what he termed ‘‘the vital attitude’’ of surrealism. It was during this time he wrote The Labyrinth of Solitude, a collection of essays concerning the importance of loneliness as the core of human—and especially Mexican— identity. This book and Sun Stone (1957), a long poem generally considered his finest achievement in verse, established Paz’s international literary reputation. Paz continued to travel extensively as a diplomat. He was named Mexican ambassador to India in 1962 and served in this position until 1968, when he resigned in protest following the killings of student demonstrators in Mexico City’s Plaza of Three Cultures by government forces. Later editions of The Labyrinth of Solitude include an additional essay by Paz discussing this tragic event. Paz continued to lecture and travel around the world. In 1987 Paz published Arbol adentro, his first collection of poetry in eleven years. In 1990, he was awarded the Nobel Prize in Literature. He died of cancer in 1998. J. R. R. Tolkien (1892-1973): Oxford professor and fantasy author whose tales of Middle Earth—including The Hobbit and The Lord of the Rings trilogy—brought him widespread critical and popular acclaim. Frida Kahlo (1907-1954): A Mexican painter and wife of muralist Diego Rivera, Kahlo's style was influenced by a combination of European surrealism and indigenous traditions. She was not widely recognized until after her death. Marilyn Monroe (1926-1962): An iconic beauty of the mid-twentieth century, Monroe starred in classic films such as Gentlemen Prefer Blondes and Some Like It Hot. Joseph McCarthy (1908-1957): In 1950, McCarthy was an obscure junior senator from Wisconsin when he began claiming that he had a list of Communists that had infested government agencies. The resulting hearings, as well as McCarthy's blustering, bullying demeanor, came to symbolize the anti-Communist hysteria of the time. George Balanchine (1904-1983): Of Georgian descent, Russian choreographer Balanchine would prove a major influence on American ballet after his move to New York City in the 1930s. His productions of The Nutcracker every Christmas made the ballet a holiday tradition. Paz was introduced to literature in his grandfather’s personal library. Later, he read authors who influenced his work including Gerardo Diego, Juan Ramon Jimenez, Antonio Machado, and D. H. Lawrence. In addition, his philosophical stance was influenced by his exposure to the writings of David Rousset, Andre Breton, and Albert Camus. His works reflect his knowledge of the history, myths, and landscape of Mexico as well as his interest in surrealism, existentialism, romanticism, Eastern thought, and diverse political ideologies. Surrealism. In his early verse, Paz experiments with such diverse forms as the sonnet and free verse, reflecting his desire to renew and clarify Spanish language by lyrically evoking images and impressions. In many of these poems, Paz employs the surrealist technique of developing a series of related or unrelated images to emphasize sudden moments of perception, a particular emotional state, or a fusion of such polarities as dream and reality or life and death. According to Paz, surrealism is a ‘‘negation of the contemporary world and at the same time an attempt to substitute other values for those of democratic bourgeois society: eroticism, poetry, imagination, liberty, spiritual adventure, vision.’’ Topics of Paz’s formative verse include political and social issues, the brutality of war, and eroticism and love. Eagle or Sun? (1951), one of his most important early volumes, is a sequence of visionary prose poems concerning the past, present, and future of Mexico. Selected Poems, published in 1963, and Early Poems: 1935-1955 (1973) contain representative compositions in Spanish and in English translation. Radical Diversity. The variety of forms and topics in Paz’s later poems mirror his diverse interests. Blanco (1967), widely considered his most complex work, consists of three columns of verse arranged in a chapbook format that folds out into a long, single page. Each column develops four main themes relating to language, nature, and the means by which an individual analyzes and orders life. In Ladera este: 1962-1968 (1968), Paz blends simple diction and complicated syntax to create poems that investigate Asian philosophy, religion, and art. In his long poem A Draft of Shadows (1975), Paz examines selfhood and memory by focusing on poignant personal moments in the manner of William Wordsworth’s autobiographical poem The Prelude. Influence. The influence of Paz is vast and continues to grow. Writers that have been influenced by Paz include but are certainly not limited to Samuel Beckett, Charles Tomlinson, Elizabeth Bishop, Mark Strand, and Mexican author Carlos Fuentes. The work of Paz continues to be translated into numerous languages, thus increasing the scope of his enduring influence. Manifestoes of Surrealism (1924), a nonfiction book by Andre Breton. Breton is the father of surrealism in literature; this text lays out the tenets of that movement that other authors would eagerly follow. Naked Lunch (1959), a novel by William S. Burroughs. This story is about the world travels of a junkie, told in a weirdly disjointed narrative; Burroughs claimed it could be read in any order. The Capital of Pain (1926), a poetry collection by Paul Eluard. This work is a seminal collection of surrealist poetry; the poems would inspire the landmark 1965 French film Alphaville, directed by Jean-Luc Goddard. Thomas the Obscure (1941), a novel by Maurice Blanchot. A philosopher primarily, Blanchot wrote this abstract, challenging novel over the course of nearly ten years. Octavio Paz’s reputation as one of the greatest literary figures of Latin America in the twentieth century—and certainly Mexico’s most important writer at that time— rests on his extensive output. He wrote more than thirty collections of poetry over the course of fifty years. His essays almost equaled his poetry in quantity, thoughtfulness, and influence. The two categories of writing complement each other. As John M. Fein states in an essay titled ‘‘Toward Octavio Paz: A Reading of His Major Poems, 19571976,’’ ‘‘His success in diversified fields is heightened in the ways in which his essays and his poetry are complementary: the core of his creativity is a concern for language in general and for the poetic process in particular.’’ In other words, critics’ positive reaction to Paz’s poetry is brought to an even higher level by the fact that his poetry is based on sound principles enumerated in his nonfiction, particularly those regarding the use of language. 1. Paz often addressed themes concerning the impact of the ancient native cultures of Mexico on twentieth- century Mexican culture and society. Read Sun Stone. In what ways does it reflect ancient Aztec beliefs? 2. In The Labyrinth of Solitude, Paz contends that humans are unique among living things for their awareness of their own loneliness. Do you agree? If possible, provide reasons to support your position based on your own firsthand experiences with animals. 3. One of the main ideas in The Labyrinth of Solitude is that Mexican culture is a sort of orphan child of Spanish settlers and pre-Columbian societies such as the Aztecs. How do you think this is related to the feelings of solitude Paz mentions in the title? 4. Although Paz was born in Mexico City and died there, he spent many years in other countries and cultures around the world. Provide examples of how his exposure to other cultures—particularly European artists and Hinduism—influenced his writing. Ivask, Ivar. The Perpetual Present: The Poetry and Prose of Octavio Paz. Norman: University of Oklahoma Press, 1973. Roman, Joseph. 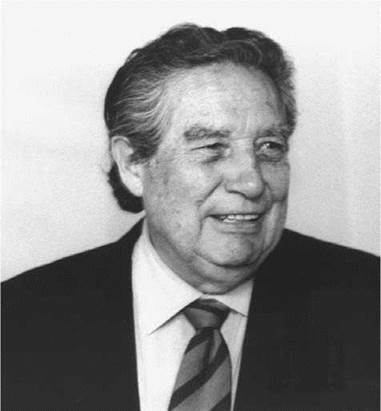 Octavio Paz. New York: Chelsea House, 1994. Salgado, Maria A., ed., Dictionary of Literary Biography, Volume 290: Modern Spanish American Poets, Second Series. A Bruccoli Clark Layman Book. University of North Carolina at Chapel Hill. Detroit: Gale, 2004. Wilson, Jason, Octavio Paz. New York: Twayne, 1986. American Book Review (August-September, 1992): 3. Los Angeles Times Book Review (September 18, 1988): 3. New York Times Book Review (December 27, 1981): 12. ________ (December 25, 1988): 12. Publishers Weekly (January 16, 1995): 444. London Times (June 8, 1989). Times Literary Supplement (December 30, 1988-January 5, 1989): 1435.